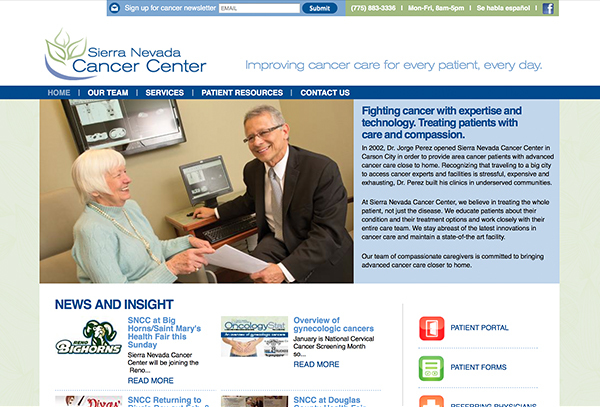 Previously, SNCC had a website built for them by a company that does template-based sites for medical practices. While it had most key elements, it had a confusing navigation, little unique content and no individual brand identity. The new site offers very intuitive navigation for users, large buttons for the most referenced content and a unique brand and personality.